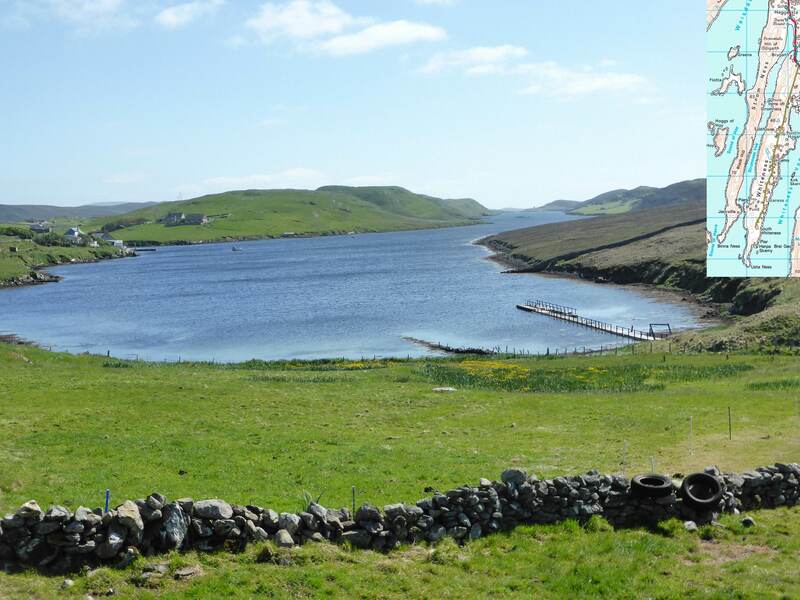 With their treeless landscape of moors, peat bogs, lakes and sheep pastures, their countless sheltered fjords (locally called “voe”) and their small human population, the Shetland Islands are a paradise for waders. And for me too, since most of them are rarely seen in Switzerland. As with earlier contributions, photos labelled (Jo) are from my daughter Joëlle. First, two landscapes to give you an idea of the place. 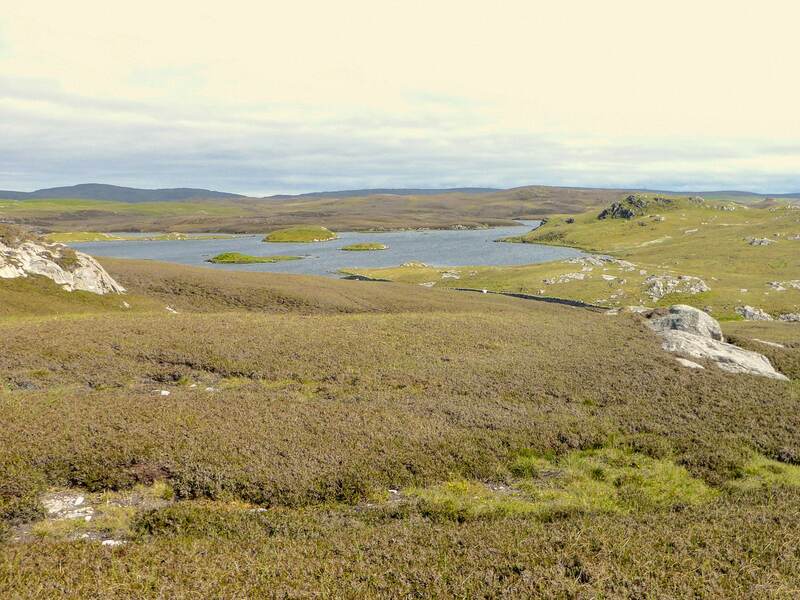 (Jo) A typical Shetland inland landscape: Loch of Clousta, Aisthing, Mainland. At the beginning of June the heather still looks rather wintery. (Jo). Yes, it is the Atlantic Ocean (pro parte). The incredible Stromness Voe, Whiteness, Mainland, is a five km long, but at most 200 m, wide fjord enclosed between two narrow fingerlike headlands. I have appended a map of the place. The photo was taken from the northern tip of the fjord. The Eurasian oystercatcher, Haematopus ostralegus (Haemapodidae), is ubiquitous, found either on the sea shore (eating mostly mussels and other bivalve mollusks) or inland on sheep pastures (eating mostly earthworms). 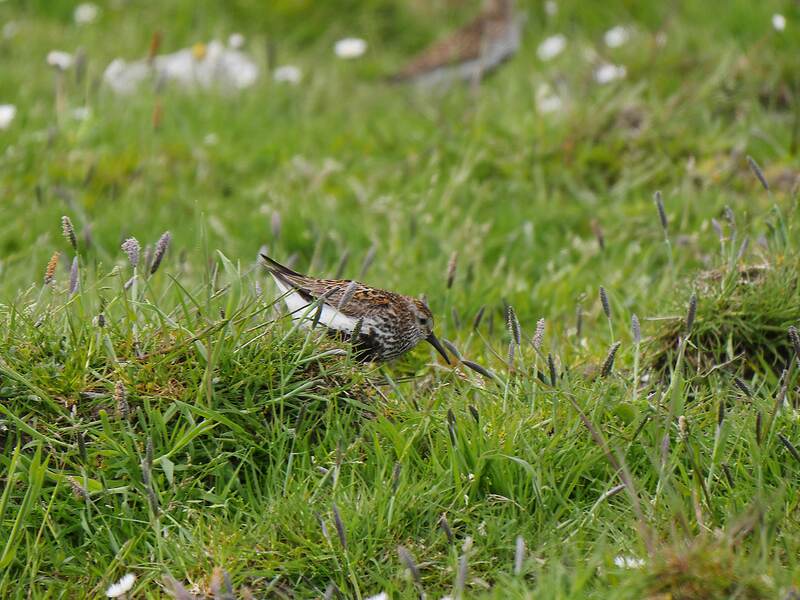 Interestingly, the tip of the bill of coastal birds is rather blunt, while it is sharply pointed in inland birds. Nothing genetic here, but a different balance between wear and tear versus growth – yes, bills are made of keratin and grow and wear continuously like nails and claws. 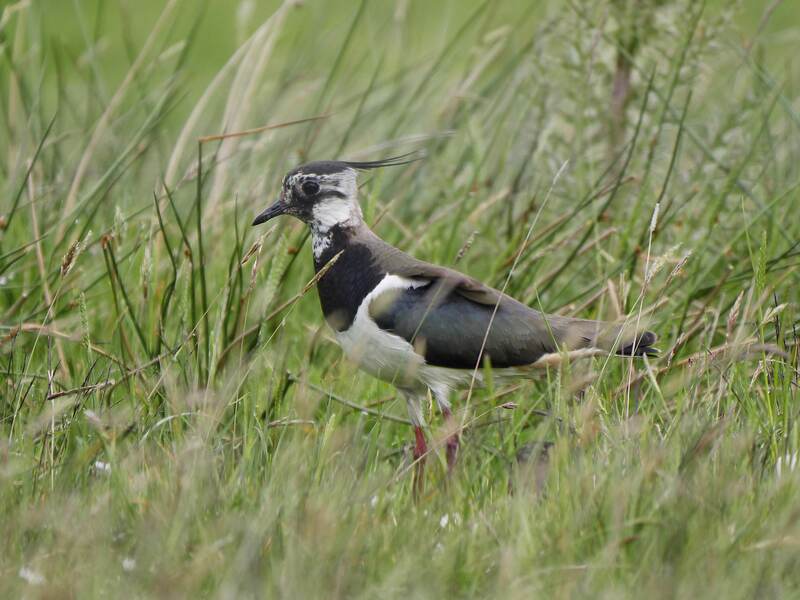 The Northern lapwing, Vanellus vanellus (Charadriidae). Here a female, recognizable by its mostly white throat and its relatively short crest. Posts are welcome substitutes for trees to enable birds to watch the territory. 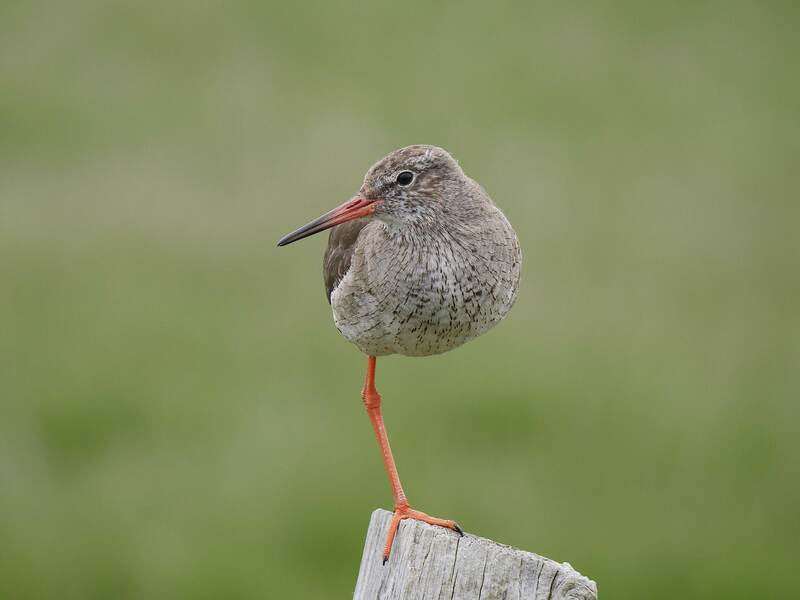 This Common Redshank, Tringa totanus (Scolopacidae) knows its theory of the center of gravity! And don’t worry, it has two fully functional legs! 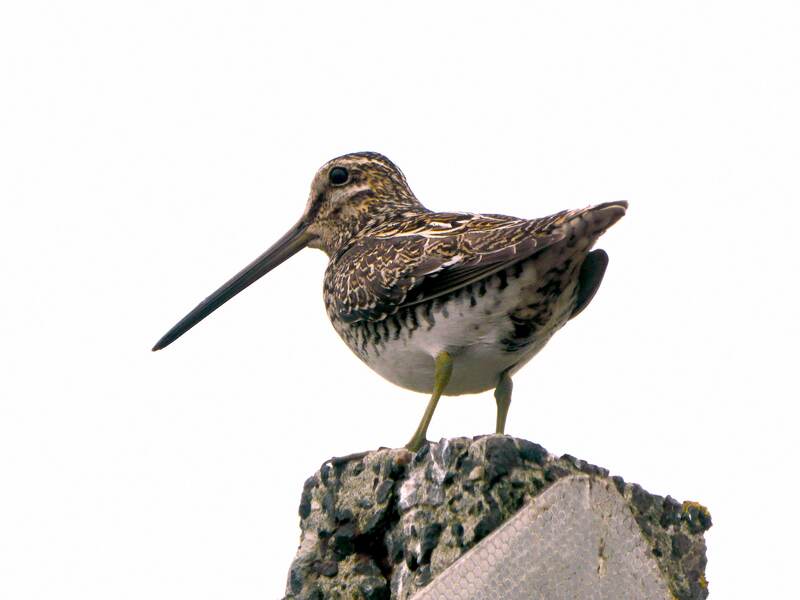 (Jo) The Common Snipe, Gallinago gallinago (Scolopacidae). This one was singing on the post signaling a “passing place” on a typical narrow Shetland road, and Joëlle, who was driving, was on the good side of the car. I tried to exit the car discreetly, and of course the bird flew away. I’m still slightly jealous… Note the enormous bill used to probe for earthworms and other prey in the wet ground, and the strange position of the eyes, giving the bird a more than hemispheric field of view – even with the bill deep in the mud. And now four small species. 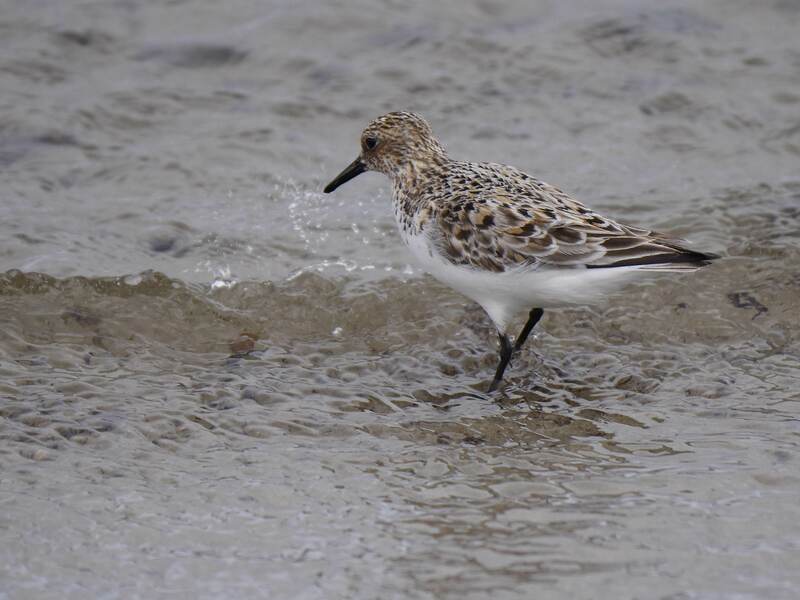 First the Dunlin, Calidris alpina (Scolopacidae). This tiny bird (hardly larger than a house sparrow) nests in marshy areas. 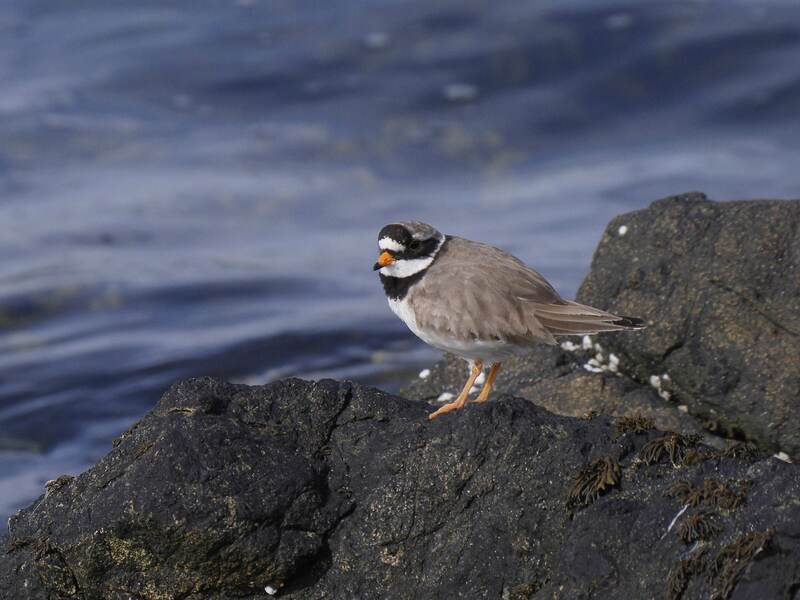 Common ringed plover, Charadrius hiaticula (Charadriidae). A close cousin of the American kildeer we have seen recently in readers’ photos, but smaller. Like the kildeer, it nests on open ground. Sanderling, Calidris alba (Scolopacidae) – The Shetland islands are only a stopover on their way to Northern Greenland or Spitzbergen. Alba means “white” in latin, and this name refers to its winter plumage. 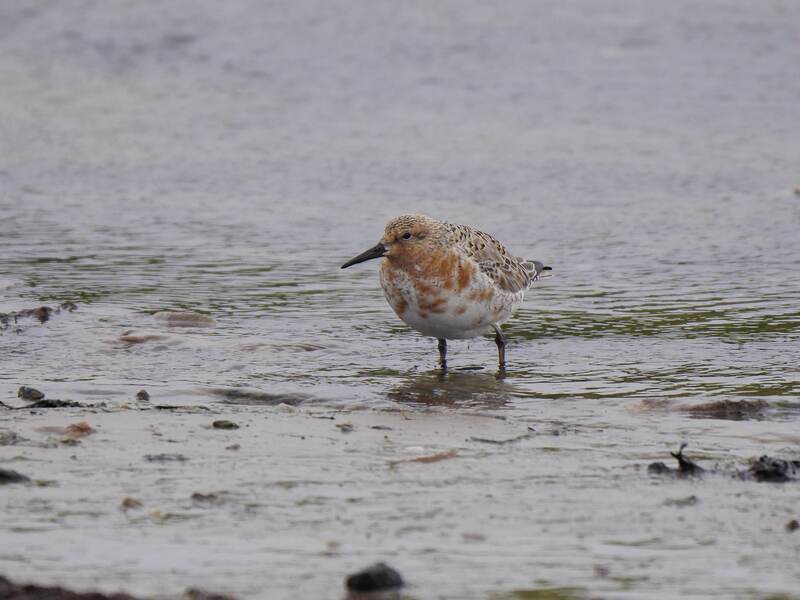 (Red) knot, Calidris canutus (Scolopacidae). Another species en route to Greenland. 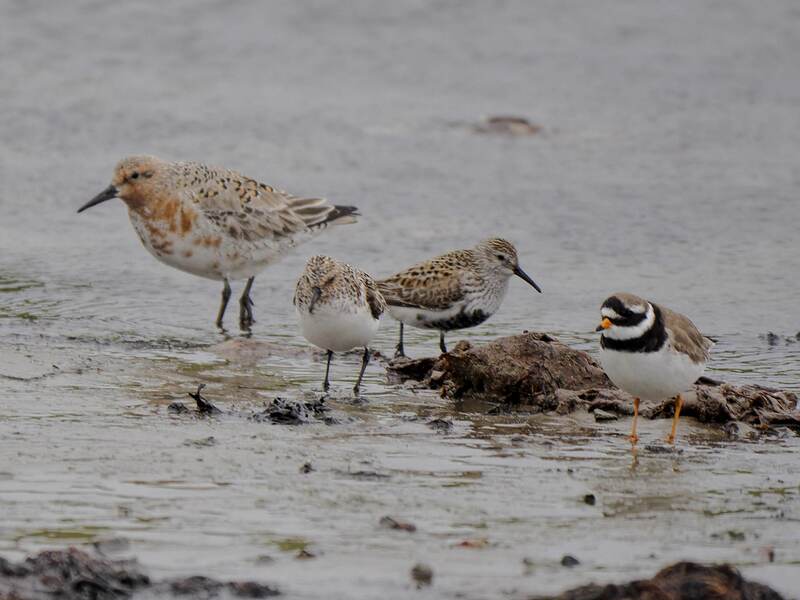 It is a giant among the Calidris sandpipers, approximatively the size of a robin (for American readers) or a blackbird (for European ones). This entry was written by whyevolutionistrue and posted on August 22, 2018 at 7:30 am and filed under birds, photography. Bookmark the permalink. Follow any comments here with the RSS feed for this post. Both comments and trackbacks are currently closed. Those voes and lakes are full of brown trout. Hagar, perhaps, but the sheep, no! Ah, Switzerland — the land where the men are men, and the sheep are …nervous. I thought that was Wales ? From your photo and to my eye, the common snipe (Gallinago gallinago) is nearly identical to our local Wilson’s snipe (Gallinago delicata), in morphology and behavior. Their reproductive strategy is unusual. Very nice. Good job getting four species together. I feel good when I can get two related species together. Ah ,Lapwings ,used to be plenty in the fields next to the river Severn ,hardly ever see or hear them now . Lapwings have declined very seriously in the UK over the course of the second half of the 20th century and up to the present. The decline has been most severe in lowland England and the sw of the country. Changes in farming practices are responsible including changed patterns of crop rotation in arable land, move to Autumn sown cereal crops in preference to Spring sown, land drainage, intensification of pasture management, early silage cutting and so on. 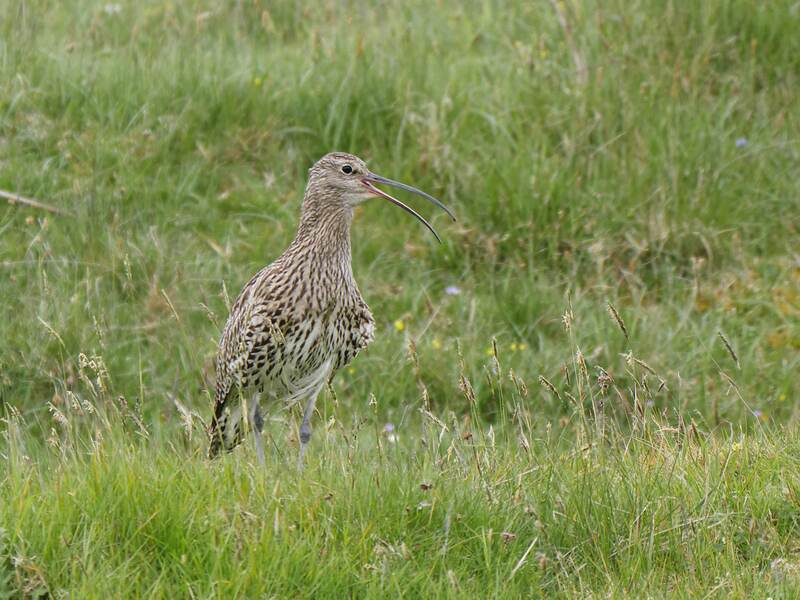 It used to be a common and familiar bird but as you say is rarely seen in some parts of the country now. It fares better in the North and although I am not familiar with Shetland I imagine it is still doing reasonably well there. 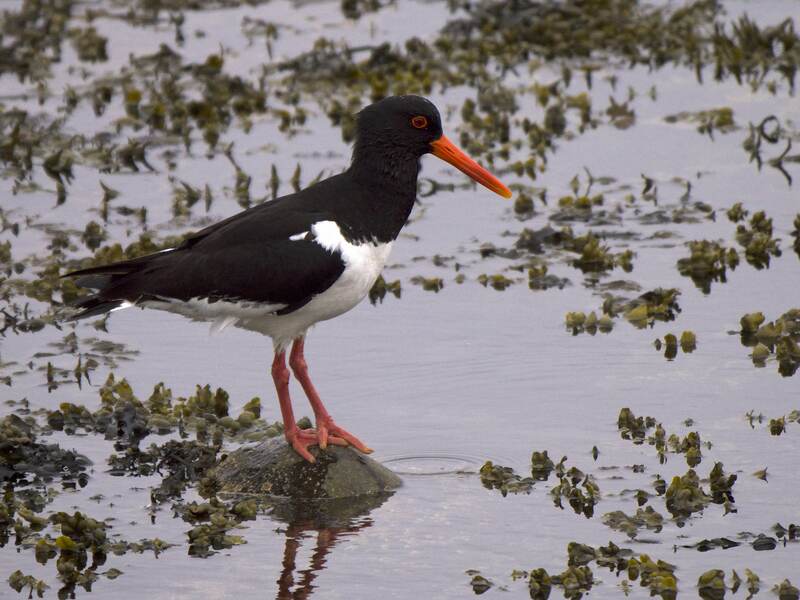 In the Oystercatcher bill shape differences associated with diet also occur between birds feeding in the same habitat. Individual birds on estuarine mudflats specialise both on prey types and on the method for handling the prey, with three broad types recognised: 1 probers for worms such as Arenicola marina in deep mud, 2 birds that probe the partially open shells of surface living (or superficially buried) bivalve clams and slice the adductor muscle that closes the valves together so they can then eat the meat and thirdly, hammerers who exploit the same prey species as the slicers but who enter the shell by hammering it until it is sufficiently broken to permit access to the meat. Feeding specialisms are stable within individuals and are learned by chicks from their parents. As Jacques explains above the different feeding techniques used result in different patterns of wear and growth, producing characteristic and recognisable bill shapes.